Breathlessness is simply defined as ‘feeling that you are out of breath’, and most of us are familiar with that sensation when we once ran around as children or in later years climbing hills or rushing for a bus. In this context it is of course a completely normal reaction to exertion and we are comfortable with it because we can control it. However when we feel breathless and we haven’t exerted ourselves it is very different matter. We no longer feel in control and one result is that our anxiety levels rise. Once we start getting anxious the feeling can spiral to panic, which will only make things worse as this itself can cause breathlessness. It is much easier to breath if we keep as calm as possible. Breathlessness can come on suddenly (as an acute attack) or gradually. It can stay for a long time and become a chronic condition. In order to avoid excessive anxiety it is important that the people affected (patients and carer) are put back into control of the situation, and that is what your doctor will do. It is therefore important that you inform your doctor about any unexpected bouts of breathlessness. (NB your doctor refers to breathlessness as dyspnoea). A sudden attack will require you to see a doctor quickly, as it often requires immediate treatment. People who have asthma, chronic obstructive pulmonary disease (COPD) or heart failure are usually well prepared by their doctors, with an action plan that includes starting treatment before the clinician arrives. If it is new to you seek medical assistance without delay. A flare-up of asthma: You might feel your chest is tight or feel you are wheezing rather than being short of breath. A flare-up of COPD: You might feel more out of breath and tired than normal and your usual ways to control your breathlessness don’t work so well. A pulmonary embolism. This is when you have clots in your lung arteries that have travelled from other parts of your body, usually your legs or arms. These clots can be very small and cause acute breathlessness. More clots can get released over a long time and cause your feeling of breathlessness to get worse, and eventually you might have daily long-term breathlessness. Lung infections such as pneumonia and bronchitis. Pulmonary oedema or effusion or fluid in your lungs. This might be due to the failure of your heart to pump fluid around efficiently or due to liver disease, cancer or infection. It can also cause long-term breathlessness, but this can be reversed once the cause is known. Cardiac arrhythmia. This is an abnormal heart rhythm. You might feel your heart misses beats or you might experience palpitations. Hyperventilation or a panic attack. Heart failure. This can be due to problems with the rhythm, valves or cardiac muscles of your heart. 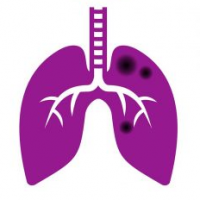 Interstitial lung disease (ILD), including idiopathic pulmonary fibrosis (IPF). These are conditions where inflammation or scar tissue builds up in your lungs. Allergic alveolitis, which is an allergic lung reaction to certain dusts you breathe in. Industrial or occupational lung diseases such as asbestosis, which is caused by being exposed to asbestos. Bronchiectasis. This is when your bronchial tubes are scarred and distorted leading to a build-up of phlegm and chronic coughing. Muscular dystrophy or myasthenia gravis, which causes muscle weakness. Being obese, lacking fitness, and feeling anxious or depressed can also cause you to feel short of breath. You might often have these issues alongside other conditions. Treating them is a vital part of treating your breathlessness. Your doctor will want to discover what is causing your breathlessness and, as you can see above, there are many possibilities so diagnosis can take some time. In a group of people with aspergillosis the list is much shorter but your doctor will still need to be sure he has found the correct cause. There are several useful tips on the BLF website for people going to see their doctor for the first time with breathlessness, including recording the sorts of activity that make you breathless on a phone with a camera and showing the recordings to your doctor. If you smoke, get help to quit. There is very good evidence that seeing someone who is trained to help people stop smoking, as well as taking regular nicotine replacement and/or anti-craving medicines, increases your chance of being a long-term non-smoker. Get a flu jab every year. Be more physically active. Physical activity could be walking, gardening, walking the dog, housework or swimming as well as going to a gym. Read our guide to exercising in a bed or chair. If you have a lung condition, you can be referred to a pulmonary rehabilitation (PR) programme by your doctor, and if you have a heart problem there are cardiac rehabilitation services too. These classes help you to get control over your breathlessness, get you fitter and are also lots of fun. If you are breathless due to loss of fitness, ask your GP or practice nurse about local referral schemes that support people who want to be more active. Drink and eat healthily and manage your weight. Your doctor can help you work out what your healthy weight should be. If you are carrying excess weight you will require more effort to breathe and move around, and it will be more difficult to get control over your feelings of breathlessness. If you have diabetes, ask about educational events to help you to manage your weight and eat a more balanced diet. Your GP or practice nurse can help you to find healthy eating support services. Get treatment if you feel stressed or anxious. If your area doesn’t have a dedicated breathlessness clinic that provides this help, ask your GP to refer you to a counsellor or clinical psychologist who will be able to help. Sometimes medicines can help too, so talk to your GP about this. Use the right medication in the right way.- Some breathlessness is treated with inhalers. If you have an inhaler make sure somebody regularly checks you know how to use it correctly. Don’t be afraid to ask to try different types if you can’t get on with the one you have. Use them as they have been prescribed to you. Ask your doctor or nurse for a written description of how to manage your lung condition. If you take tablets, capsules or liquids to control your breathing make sure you know why you are taking them and ask your health care professional or pharmacist if you don’t. If your breathlessness is due to heart failure you might need to adjust your treatment according to your weight and how much your ankles swell. Make sure you that have a written plan that you understand. If you have COPD, you might have a rescue pack so you can start treatment early if you have a flare-up. This must always come with a written action plan that you understand and agree with. Evidence shows that oxygen will not help your breathlessness if your blood oxygen levels are normal. But if you have a condition that means that the level of oxygen in your blood is low, oxygen treatment can make you feel better and live longer. Your GP can refer you for advice and tests. You should see a specialist team to assess your needs and ensure you use oxygen safely. They will monitor your use of oxygen and change your prescription as your needs change. Never use oxygen without specialist advice. How do I… advocate for myself?